Here’s my 2013 update on Wine for Thanksgiving. And may you be surrounded by loved ones and take time to enjoy and slow down, if only for the one day! For the past few years I’ve written about my Thanksgiving preference to serve several wines at Thanksgiving, in order to suit both a range of courses over a long meal as well as to cater to different preferences of individuals in large groups. (*See my footnote below if you need a reminder.) Well I’m NOT talking about those today. Let’s talk about a SINGLE bottle of wine for Thanksgiving… not because it’s what I’ll serve, but because it’s what I’m constantly asked about at this time of year. People regularly ask me to suggest ONE wine to pair with the traditional Thanksgiving meal that all their guests will enjoy. Others want a bottle to bring as a gift to someone else’s home that might or might not be served with the meal, so it should be appropriate for use on Thanksgiving or by the host at a later date. If you are OK with red grapes, then you have to make a choice: Rosé or Gamay? Option One: Rosé. Relax: this is not the lousy rosé we grew up with that made so many wine lovers turn up their nose at the faintest idea of a pink wine. We shall only consider the well-made rosé wines that will pair beautifully with opening courses, make the cranberry sauce sing, and take your turkey to a higher level. My favorites here would be Modus Operandi’s Vicarious Rosé from California, or from Provence France’s Domaines Ott, Chateau de Selle Rosé. Both of these should have a street price in the $30-$40 range, and are highly worth the price for the religious experience they deliver. For the under-$20 crowd, there are very good rosé wines from Guigal,and locally from Coppola (a 90 pointer called Sofia), and a good dozen other producers that you can find in most wine stores. Key phrase here is “what is the best rosé you carry that will pair well for the entire meal”? Last year I served the Vicarious Rosé during the soup course and had several guests drink it through to dessert, enjoying it thoroughly the entire evening. Option Two: Beaujolais Nouveau, the gamay grape’s fruity, light, fall season ‘fun’ wine. This is my other best option for a wine that can match with the entire meal. George DuBoeuf has the corner on the market, his nouveau wines will run you around $10-12 and are consistent, tasty and good. 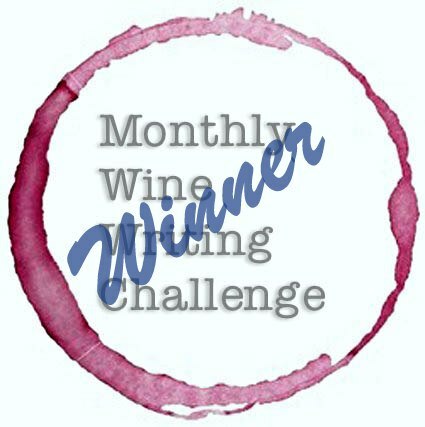 You can go up the ladder, however, with Domaine du Peuble’s 2012 Beaujolais Nouveau in the $12-16 range, or Jean Foillard Morgon Beaujolais, which runs in the mid $20’s. To give you an idea of the quality of this wine, famed chef Thomas Keller’s Bouchon restaurant in Beverly Hills is serving this with their prix fixe this week. For a few bucks more you can get a big jump in quality, but beaujolais nouveau is always fun to open and a good conversation piece.What could be easier for people who panic and don’t know what wine to bring? Here is your answer: Beaujolais Nouveau. And for those readers who just don’t do red wine… I haven’t forgotten you. (Yes, Virginia, that rosé is made from red grapes.) For you, I’d suggest you consider whether you prefer either the serious white or a “lighter” white for your gift or single meal wine. In the serious realm, a white Bourdeaux Blend is always appreciated and appropriate for Thanksgiving and any time of year, or a white Burgundy will pair beautifully with this savory meal. You can find white bordeaux blends starting around $10 and up, and Burgundies about $16 and up, into the thousands per bottle… and if you can afford these upper tier wines, please invite yourself to my home for dinner! 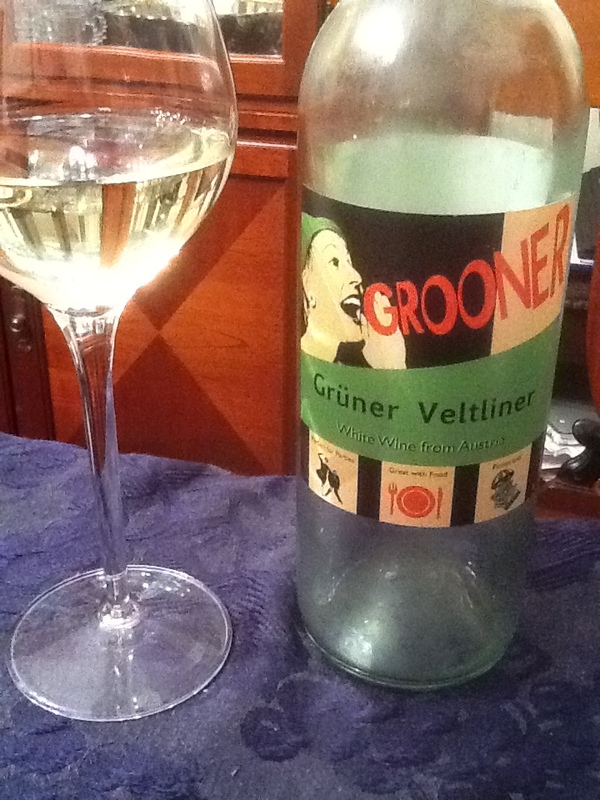 Shifting to the lighter side, I often start by suggesting Riesling, and I’ll take that a step further: consider Riesling, Kerner, Gerwürztraminer, or Grüner, many of which have a hint of sweetness on the nose and initial early palate but offer depth in their acidity and minerality, and often can be found in the $12-25 range. There are countless offerings both Stateside and abroad, but the masters of these grapes are from Germany, Austria, and Alto Adige region of Italy. *The four wines are I usually serve are: 1) a fun white, 2) a serious white, 3) a delicate red, and 4) a bold red. As wine aficionados you may also possess a certain palate for quality foods. With the gift giving season upon us, I found this article about shopping for traditional, artisanal Balsamic Vinegar to be especially interesting. Like wine, not all Balsamic Vinegars are created equal. With that in mind I thought my readers might enjoy this piece from WineFashionista.com about how to choose a quality balsamic vinegar. It may offer you unexpected revelations! Wine Fashionista (aka Mary Orlin) is a Certified Sommelier who knows volumes about wine, food, and perfume. In another of her blog posts, I was astounded at the photographs of the barrels from the Leonardi Balsamic Vinegar Farm and the process that is described. I know you’ll enjoy these, too! à votre santé, and bon appétit! I recently attended a Bottlenotes’ Taste Around Town event at Greenwich Project featuring wines from Verona area of Northern Italy. 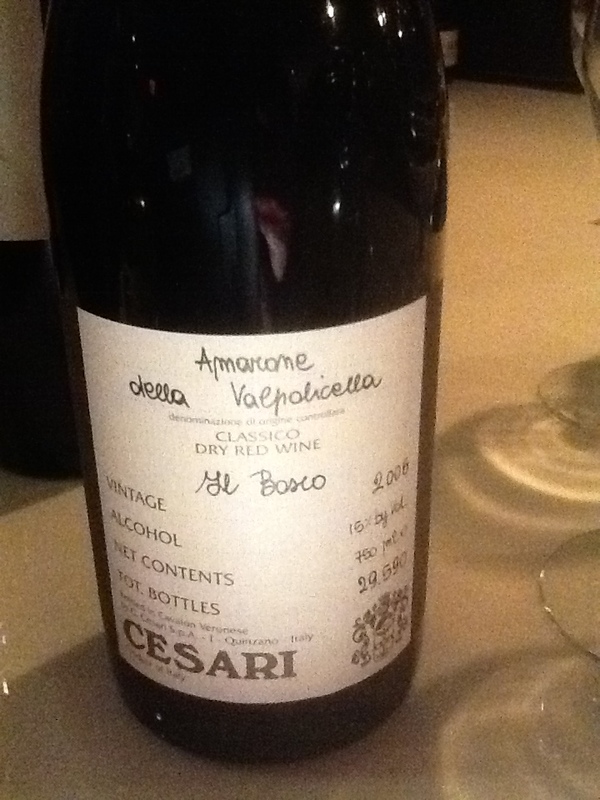 I was able to taste nine wines from Cesari, a manufacturer that is imported to the USA by Opici Wines, who arranged the tasted and poured for us. The evening’s tasting of wines that ranged in price from $9-$70, I hope my notes will help provide a sense of the region, the individual bottles, and the brand, starting with the light-bodied wines moving to the full-bodied, high end, with MSRP in $USD and alcohol by volume listed after my tasting notes. If you see something that peaks your interest, I bet you can find it easily to purchase locally or using a search engine. If you get stuck, try the Opici website link above. They are very nice, intelligent wine-lovers who are passionate about their work the same way we are about wine. Duetorri Pinot Grigio-100% pinot grigio, fresh and crisp, a good demonstration of the grape, fragrant citrus and white pear with nice, tight acidity and minerality. $9/bottle, 12.5%ABV. Duetorri Pinot Noir, 100% pinot noir- very gentle, easy to drink pinot with bright cherry nose and palate and high acidity. Matured in stainless to highlight the grape, this is a nice entry-level wine that shows the basic grape with some flint notes from the terroir with mild tannins and a comforting acidity. $9/bottle, 12.5% ABV. Bardolino Chiaretto – With a nose of wildflowers and bright ruby color, cherry dominates the mouth with strong acidity and mild tannins. 60% Corvina with Molinara and Rondinella grapes in the blend, an easy-drinking, rosé that was designed to be enjoyed with food. $11/bottle, 12% ABV. Valpolicella Classico DOC. A blend of 75% Corvina and 25% Rondinella, a nice example of a classic Italian table wine, capable of pairing almost anything. Perfect first-course wine if you want to move to the expensive upper crust, or very comfortable to enjoy throughout an entire meal. Feels fresh, tasty and local. $12/bottle, 12.5% ABV. Mara Valpolicella Superiore Di Ripasso. 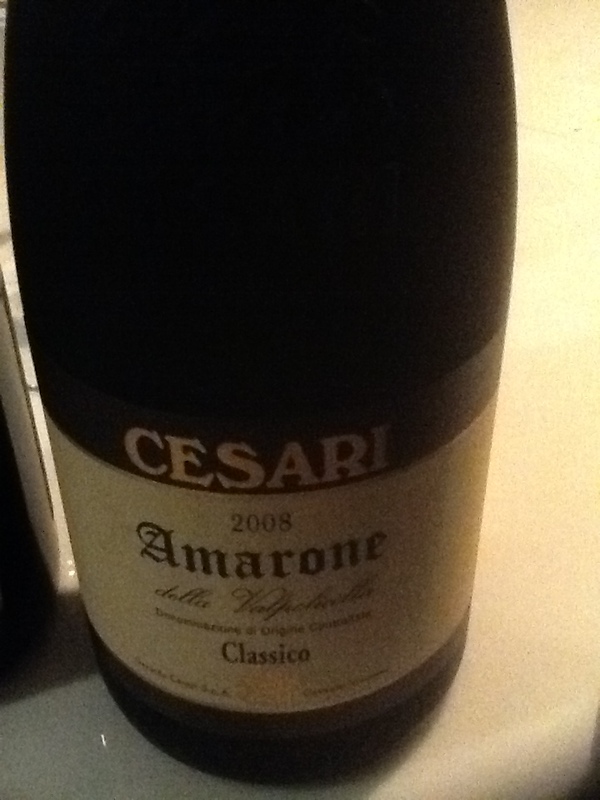 A blend of corvino, rondinella and molinara grapes that is made with a secondary fermentation on Amarone grape pressings for great depth (hence the term, ripasso). The wine offers a bright ruby color with floral nose, the flavors are concentrated and fuller-bodied with a velvet texture in the mouth and compares well to a beaujolais or burgundy. “Mara” would pair well with fowl, white or red meat and game. $19/bottle, 13.5% ABV. 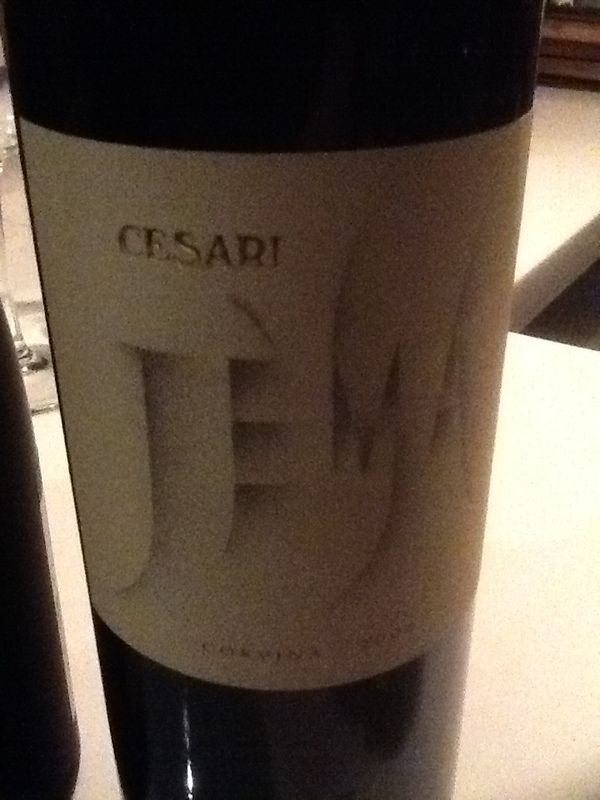 Jema (2008) Made of 100% corvina. This wine starts with ripe red fruit aromas and flavors and shows beautifully subtle notes of cocoa, roasted coffee bean, cloves, old wood and chalky soil that add marvelous depth. A lengthy process is used to achieve this enjoyable wine which is a great demonstration of small, old-world winemaking that really shows in the depth of flavors and lingering finish. Priced in the Mid-$30’s. ABV 13.5%. Amarone Della Valpolicella “Il Bosco” DOC (2006) This blend of 80% corvina and 20% rondinella shows off huge nose of black fruit and dried flowers. In the mouth, black plum and cassis are dominant with a gentle hint of wood. Full-bodied, producing a powerful, lengthy finish with a delicate and velvet texture. Impressive. $70/bottle, 15% ABV. 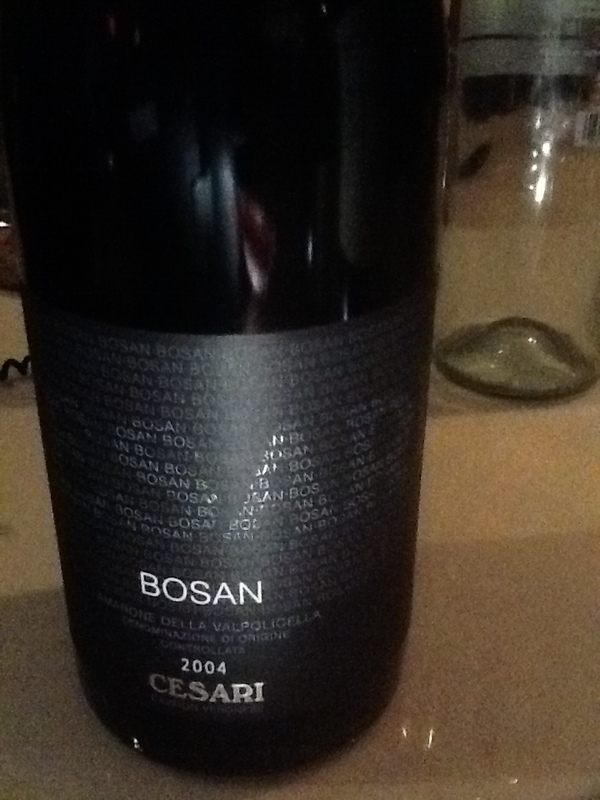 Bosan Valpolicella Superiore Ripasso (2004) Comprised of 80% Corvina and 20% Rondinella, this DOC wine uses the same Ripasso technique to re-ferment the wine on the dried skins prior to barrel and bottle drying to provide an excellent, well-made wine. Floral notes with licorice and tobacco on the nose, the palate shows over-ripe black cherry, dried plum, and boysenberry with notes of bittersweet chocolate, allspice, and toasted vanilla bean. Mellow acidity and mature tannins show that this is a perfect age for this wine though it could age another ten years, at the current age it demonstrates a medium long finish that adds residual oak and some chalky clay to the back palate. 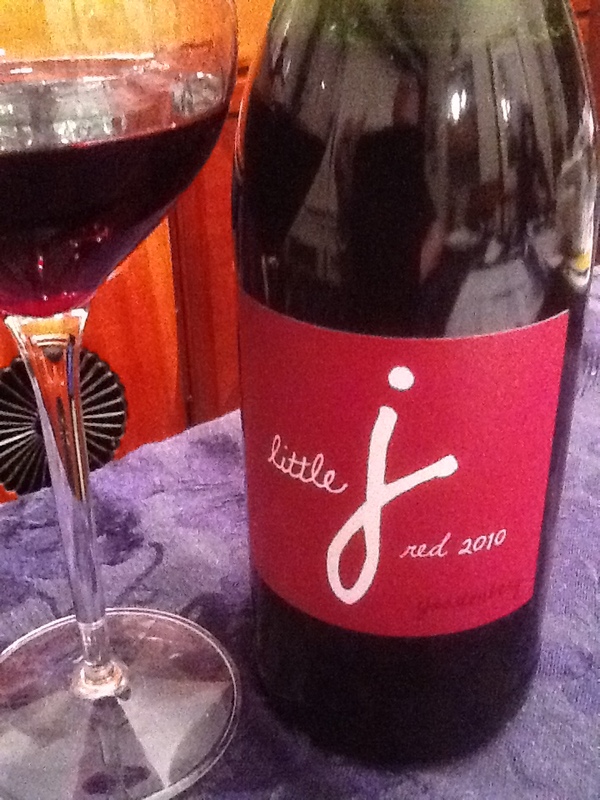 Delicious, crowd-pleasing, and a great example of wonderful winemaking from the region. Unlike some wines only show best when paired, this wine also shows wonderfully alone and could be an excellent after-dinner or “meditation” wine. $70’s/bottle; 15.8%ABV. With the options available from Verona, it’s no wonder Shakespeare waxed poetic about the region, her people and wine. If you don’t know the wines from the area, you owe it to yourself to try them with some of your favorite Italian food. And since I jokingly referred to it in the title, here’s a VH1 video of The Knack’s “My Sharona” for you 1970’s music fans. Enjoy!